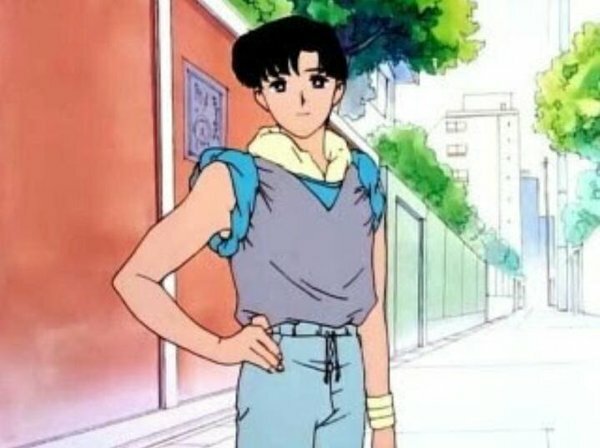 How Smart Is Mamoru in the Anime and Manga? 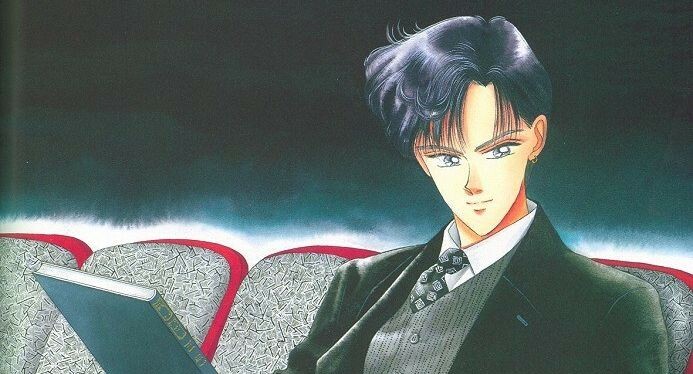 One of the well-known – yet often forgotten – facts about Mamoru’s character is that he’s not only tall, mysterious, rich, and handsome, but he’s actually quite brilliant. In fact, if you were to judge by the levels of the schools he attends, he’s arguably on level with – or even above! – Ami. 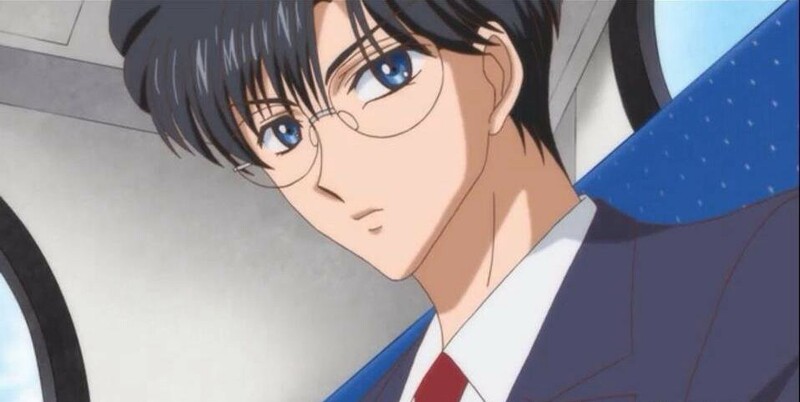 Of course we’ve already mentioned that Mamoru was changed from a high school student to a university student in the transition from manga to anime, but that actually has very little impact on the conclusions we can make, for reasons we’ll discuss below. So just how smart is Mamoru Chiba? Let’s find out! Wow! He’s wearing the school uniform from that super escalator school, Moto-Azabu High School. They have a 90 point differential (偏差値; hensachi)! How elite! But Usagi being friends with someone like that?? Just what kind of guy is he? Read also: Why Did Mimete Call Eudial a Snail Lady? It’s not all completely made up, though. Mamoru’s school is based on a real-world high school (also well-known for its intelligent students), Azabu High School, which has a respectable point differential value of 75.5 That’s no small feat! 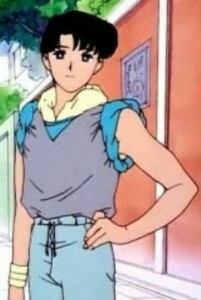 So now that we know that manga Mamoru is pretty intelligent, what about his anime counterpart? He’s no slouch, right? If you can believe it, anime Mamoru manages to actually top his manga self. We know that in the anime Mamoru and Motoki Furuhata are classmates in university and that Motoki is a “first year humanities/social sciences major at the nearby K university.” This could cover any major from history to literature, philosophy to education, or even library sciences. Incidentally, he attends “KO University” in the manga,6 those these both refer to the same place. 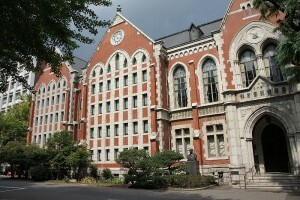 Both K and KO university are both in reference to Keio University (pronounced “Kay-Oh,” hence “KO”), an elite private university which has a campus for their humanities department in Mita, located in the same Minato ward where the story of Sailor Moon takes place.7 In the manga, while the rest of the Sailor Soldiers move onto high school, Mamoru goes on to “KO” university, finally matching his anime counterpart. One thing that’s particularly interesting about this, and was probably overlooked by the animation staff and Ms. Takeuchi, is that Mamoru’s dream (as written in his bio) is that he someday wants to become a doctor. However, seeing as he’s already a university student – and studying humanities at that! – it actually isn’t possible for him to become a doctor as-is. Unlike universities in America, you cannot just change majors on a whim, but need to re-apply to the department you wish to enter, re-test, and are essentially treated like a new applicant. Though I suppose it technically is just his “dream,” it still seems strange! 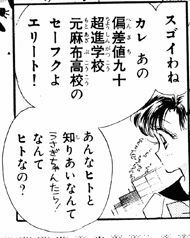 So, interestingly enough, it seems that Mamoru is quite intelligent – and by extension, so is Motoki! None of this is terribly impressive, since Mamoru does have a well-read, cool, and intelligent air about him, but it still is a bit odd that the series never really spent much time actually showing him help out the girls with their trouble-solving or other issues, other than his “dive in, throw rose” routine. Hopefully that’s something the Crystal series will take a closer look at! Read also: Guardians? Soldiers? What Are the Sailor Senshi? ← What Book Was Mamoru / Endo Reading When He Was Possessed? I’d love to see the other side of the coin for this: why was Usagi such an unintelligent character? Even as Neo Queen Serenity she apparently had trouble writing. We could say she’s just lazy, but I feel like, especially in the anime, she’s meant to be really, really unintelligent. Mina isn’t much better, especially with her ongoing bad puns and misquoted phrases. That would be an interesting comparison too: who was smarter, Usagi or Minako? And, why was there such an intelligence gap between Mamoru and Usagi? Not quite what you were discussing, but I actually did write about something similar in the past: Is Usagi Much Smarter Than the Series Implies? The short version is that, sure Usagi being dumb is played for laughs, but when you look at all of the details, Usagi is probably just the victim of being surrounded by massively intelligent people. She probably isn’t even really “dumb” at all. As for Minako, I’d love to write an article about her habit for mixing up popular phrases, names, etc. Unfortunately, a lot of these are language jokes and it requires a lot of explanation as to what she mixed up and why it’s funny, so I’m not sure if it’d pan out for non-Japanese speakers. Oh I did read that one after I saw this one. (I’m not reading these articles in order, just kind of jumping around to whatever catches my eye at the time!) And that article does make sense as far as test scores go. I guess what I’m talking about, at least in the anime, is that she doesn’t seem to understand very basic situations. Sometimes the gravity of a situation is lost on her, or maybe she’s a little *too* honest, or she completely misinterprets someone’s intentions, etc. Basically, everyone is constantly correcting her, even Mamoru. So, it’s odd, I guess that their intelligence levels are pretty different. Without going into a 5-page term paper on Japanese sociology like I’d written many times back in university, the easiest way to look at this is to realize who the audience is, and how the audience relates to the main character – in this case, Usagi. The people who spend a lot of time reading manga like Sailor Moon are, much like Usagi, not exactly the most studious types. I mean, there’s a reason why they have all this time to read manga, right? It’s not to imply that people you like manga/anime are innately dumb, simply that their priorities are different and that they value their own personal time over studying. So what kind of character do these people find themselves naturally drawn to? Someone who’s like them, of course. Someone who doesn’t study all the time, someone who is kind of a screw up, has a lot of flaws, and yet still is successful in the end. Usagi, in a way, embodies what the fans want to envision for themselves: it’s okay to not be perfect, you can still be awesome in the end. At least that’s my take on the situation. Usagi is flawed, dense, naive, and sometimes a little bit of a dunce as a way of reaching out to the audience. It’s a good question. Honestly though Usagi is very smart, in her own way. That’s not disparaging, I believe there are all sorts of types of intelligence and being good at math doesn’t always translate to being good in other fields. Mamoru and Ami are both brilliant when it comes to math, science etc, but seem to be unable to handle social situations as well as some other characters. Look at Rei, she may not have the same type of smarts as Ami, but she has a whole other skillset that I’m sure Ami would be lost in…because that is what is important to Rei.